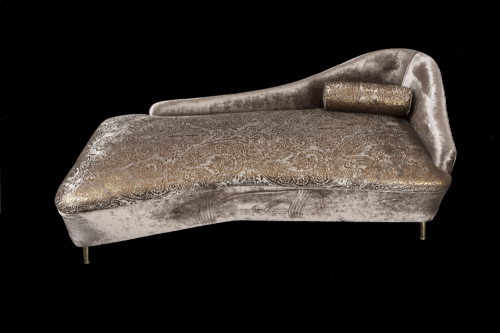 This stunning Italian 1950`s chaise came out of an Italian palace near Lake Como. What makes it so special is its unusual curved seat. It has been reupholstered it in a contemporary fabric by Linwood. This piece is super chic and would suit a bedroom or a formal drawing room.